When you think about RVing, you think TRAVEL, DESTINATIONS and FUN, FUN, FUN! But the truth is that living in your RV is not always picnic. If you live full-time you already know the sacrifices & obstacles you are overcoming. But you also know the benefits! If you are considering making the lifestyle change, be sure to go into your decision with the right mindset. Setting your expectations before you travel full-time can help you avoid the disappointment when things do happen and help you overcome and still be excited and blessed to do what you are doing! When you live in your RV you cannot possible travel every day. Or even every week for that matter! Unless, you just can’t stand to sit still or have endless income, traveling that frequently is not possible or even desirable. 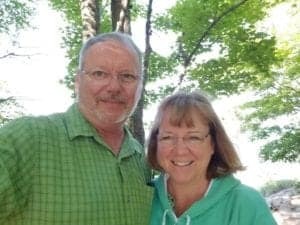 Once you set off on your full-time RV adventure you will get a rhythm and figure out how often moving is comfortable for you. If your budget dictates how often you move….you may find that monthly rates or even seasonal rates may fit your lifestyle better. The most important thing is to not wear yourself out driving all the time and feel like you always have to be somewhere. That is one sure way to burn out quickly. You are LIVING this way, it’s not a vacation, pace yourself and you will enjoy your RV lifestyle more! Things break inside your RV, you get delayed in traffic, You break down on the side of the road or you get sick. All of those things may keep you in one place for a period time. Knowing that is can happen is a step towards acceptance and the mindset that won’t send you back to your old life before you are ready. Working remotely can be an ugly truth as well as a benefit. The struggle of being trapped in your RV to work for hours is hard. Never getting away from your work is hard. You have to make a plan to treat your job as a job and set hours and stop so you can still enjoy your RV life. This ugly truth is one that you can control with your time management and your attitude. Sometimes your RV life feels like an endless vacation. Although this feels amazing, it's just not realistic. Just like above when we talked about travel, your RV life can't be an vacation all the time. You have responsibilities & appointments. You can't eat out every day like you would on vacation because that would leave your wallet empty and your waistline overgrown. 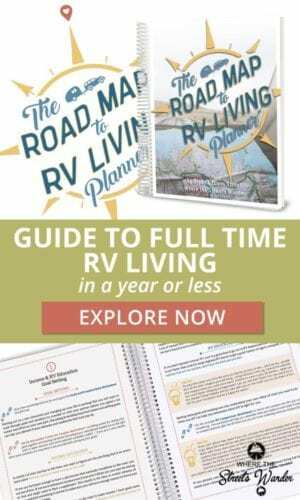 Finding balance in your RV life can be challenging but putting in place some personal guidelines can keep your RV life going in the right direction. This ugly truth seems ironic. You do have complete freedom to do what you want and go where you want, except: your budget won’t allow it, your remote job isn’t flexible, the place you wanted to go is filled up. RV freedom is relative. You do have more choices but it’s not always perfect all the time and you still have responsibility to your income production, your family and yourself. The idea that RVing will make you love the one you are with more is a fallacy. What it will do is: it will change you. You will develop more patience (or not), you will become more loving (or not) or his or her idiosyncrasies will be magnified in a smaller space. You will have to work harder to be loving. A lot of the time this will be the first time you have spent this much time with your partner. Be prepared to be annoyed but also be prepared to respond in love and acceptance and work through the transition to sharing a small space with the one you love. Talk about strategies to conflict resolution before you get into the heat of the moment. If he is mad.. where will he go to cool off? If she is hurt what can she do to help him understand and get him to listen? Talk about all this before you get in the RV…you will be glad you did! Unfortunately, you will get sick if you travel in your RV long enough. Not because of your RV but because it will happen sooner or later. Being prepared with a plan when that happens can lessen the stress of getting sick in the moment. Knowing what your insurance benefits are and where the phone number is to communicate with the company is important. Knowing where the nearest emergency room or urgent care is in the area you are camping is important. In addition to all that, having access to healthcare at your fingertips can be amazing! RV Health is your personal 24/7 virtual clinic wherever you are. It goes beyond urgent care by putting a primary care physician at your fingertips on your computer or smart phone. You will have face to face interaction through Telehealth 2.0 with a doctor and get advice immediately and peace of mind. 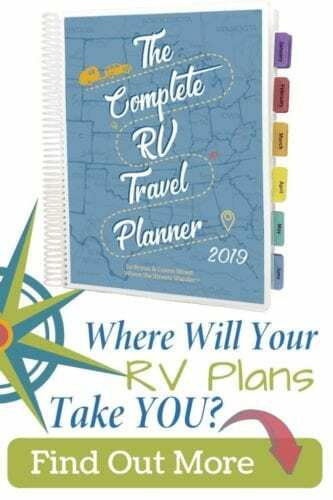 If you are interested in trying out RV Health to see if it fits your RV lifestyle, you can use a coupon code: STREETSWANDER when you sign up and get your first month for just $1! With this deal you can try out the service to see if it's right for your situation. WHAT? You think you made a mistake? Well, yes, we are only human. Doubts creep in and we have to keep the benefits in front of us when the ugly truths creep in. Did any of the things we have talked about happened in our stick & bricks life? Of course! But when something negative happens to you, it’s natural to blame the cause of the distress: broken RV, too much work, conflict, not traveling enough, too much traveling? Living in your RV is not a key to happiness – if you are not happy in your current life, you may not be happy in an RV life. Happiness should be an internal thing. We can be uncomfortable in circumstances but circumstances can and do change but true happiness comes from within. Don’t think that living in an RV and traveling alone will bring you happiness. The lifestyle has Its own unique set of challenges as does everything in life.